Compliance Advisory Panels, often referred to as “CAP,” are made up of small business owners and representatives who consult and advise on SBEAP content. The CAP is one of three components that makes up a state's Small Business Stationary Source Technical and Environmental Compliance Assistance Program, established in Section 507 of the 1990 Clean Air Act Amendment. The other two components of the program are the Small Business Ombudsman and the Small Business Environmental Technical Assistance Program. 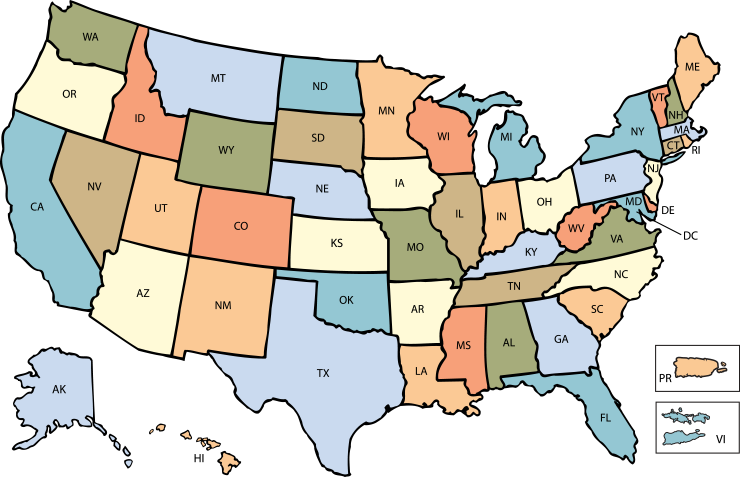 CAP members are appointed by the governor and state legislature, but not all states have an appointed or functioning CAP. Click on the map below or contact your state SBEAP to learn about the CAP in your state, or if you are interested in serving on the panel.